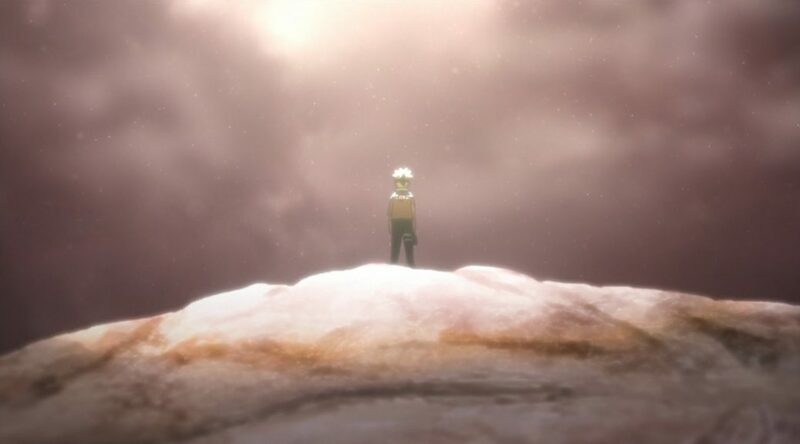 Calling the expectations for the latest episode of Boruto high is quite the understatement, as is saying that it lived up to those dreams. All fans aware of what was brewing reached this episode anticipating an almost impossible sakuga extravaganza, and still got something that surpassed their hopes. But beyond the success of the team, what’s really important this time around is the road that got them there. This is the power of international, intergenerational anime. Chengxi Huang has been the darling of Boruto‘s fandom since before it even existed. His first venture into this industry dates back to 2013, when he joined Studio Candybox – a subcontracting company based in Japan that’s gradually earned positive recognition in the field, while at the same time helping acclimate noteworthy Chinese artists like Huang. It was through them that he got the opportunity to work on Naruto, so it’s no exaggeration to say that he owes them for the offer he received to properly join the team at Pierrot later down the line. He was able to contribute to the series that convinced him to chase this dream in the first place, and perhaps more importantly, learn under the person he came to admire most: Hiroyuki Yamashita. He did his best to absorb his mentor’s mentality, his approach to work, and of course his technique; when he fondly reminisces about fans getting his work mixed up with Yamashita’s for quite a long time he’s not making a mountain out of a molehill – that did happen a lot, and in defense of all the people who mixed them up, his mimicry of scenes as iconic as Yamashita’s hypnotic blade dances is exceptional. He gradually established a voice of his own by intermingling his personal interests into his work, becoming one of Pierrot’s greatest animation assets in the process. By the time Boruto arrived, with Yamashita moving up to series direction duties, Huang had become the undisputed ace of the production. Now that would be an impressive accomplishment on its own, but Huang had a goal in mind: becoming a director. Achieving that dream on the week of his birthday, in the franchise that he loves so dearly, under the supervision of his mentor, and being able to put together one of the all-time highs for the entire series makes this whole ordeal as sweet as it could possibly be. But that happy conclusion worthy of a movie wasn’t reached following an equally pleasant path. For all of its qualitative goodness, Boruto #65 is supported by quantitative absurdity. Enough to force Huang to work 500 hours over the last month alone (don’t do the basic math unless you want your soul to shatter). Perhaps hearing that it was composed of 510 cuts of animation doesn’t tell you much, but once you realize that episodes generally fluctuate around 250~300, and that only one of a kind productions like Violet Evergarden peak that high, you’ll begin understanding the ridiculous amount of work it took – especially since this episode is functionally a full-length sakuga action compilation, densely packed with spectacle and with little to no downtime. It’s no coincidence that so much effort was channeled into this episode, of course. It’s a climactic moment with emotional baggage that extends back to its predecessor Naruto, serving as the true baton pass between the two. This whole arc is covering content that was depicted in Boruto: Naruto the Movie in the first place, meaning that it has to live up to the footage of a film that they’ve actually repurposed on multiple occasions, including a handful of scenes in this very same episode. That said, I don’t want to give the impression that this was the natural result of the production as a whole planning for it. 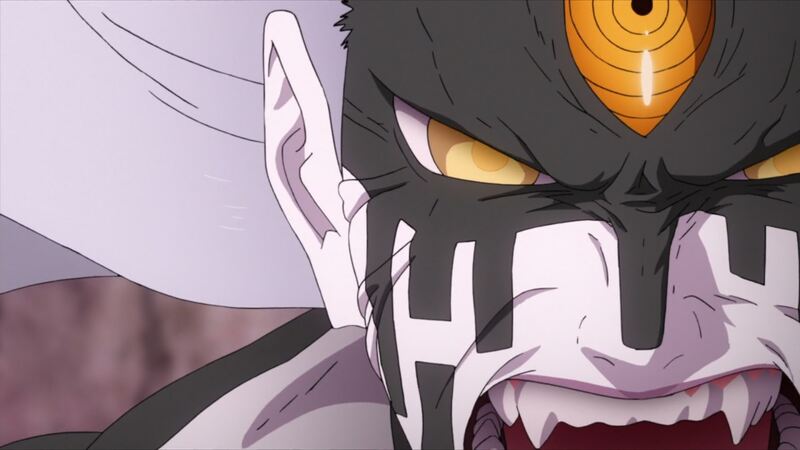 The studio did allocate resources reserved for special occasions and the schedule was solid enough (Huang got to contact animators between February-March and the animation process started the next month, though not everyone’s experiences are the same in that regard) but something like Boruto #65 wouldn’t have happened if that’s all there was. Much as we stress that the strongest TV anime offerings tend to be a result of exceptionally good scheduling and project management, this episode was an anomaly brute-forced into existence by a team led by Chengxi Huang. They’re the ones you should be most thankful to. That’s been quite the lengthy introduction, but in this case I really feel like it’s more important to be thorough regarding the circumstances, as the episode itself is already eloquent enough. Huang’s first major attempt at storyboarding is straightforward but genius in its simplicity. The episode is adorned with a handful of neat concepts, like this seamless transition in and out a flashback using Boruto himself to create a match cut. Since there are a couple of instances where partial obscuring is used as a means of transition – like using the existing effects to allow Naruto to elegantly switch forms and physically putting an end to his son’s cheering before we’re back into combat – this might develop into one of his early directorial traits. His emotional delivery was similarly uncomplicated: it does what it should and that’s more than enough for an episode that cashes out on feelings cultivated for decades. As a massive fan himself, Huang understands the narrative significance of the baton pass in the form of a rasengan, the franchise’s iconic technique. An important moment that becomes even sweeter when you consider the metatext; just a few years ago, Huang animated an excellent cut that flashed through characters as they slowly raised their hand. That was in Naruto Shippuden‘s 18th opening, directed, storyboarded, and supervised by his mentor Yamashita. Now, Huang gets to occupy the same role and include a similar concept. The switch into a new generation is occurring on multiple levels. If there’s an aspect where Huang’s work outperforms any reasonable expectations of what a beginner should be capable of, it’s got to be the action storyboarding. He guided the hands of the animators and our eyes as viewers with an expertise that makes you shudder when you imagine what he might be capable of in a few years. Huang has the understanding of movement you’d expect from an ace animator, but he’s also proved to have a solid grasp on what makes the flow of battle exciting in the first place, as well as technical knowledge regarding fighting techniques. His passion for martial arts and desire to implement them into this franchise have never been a secret, so a fight against a foe they were forced to fight at close quarters was a perfect match – sakugabooru’s biggest martial arts nerd had as much of a field day with this as Huang did conceptualizing the whole thing. His animation work is very tactile and he succeeded at conveying that principle to the team working under him. None of those ideas rooted in realism stopped a confrontation between people at the level of deities from feeling as grandiose as it should, though. The layouts highlight the absurd scale of the fight, as do the characters constantly walking into the frame to suggest an even larger space. Touches of exaggeration (like emulating ludicrous force by shaking the lineart, which he’d had applied to his animation before) are sprinkled throughout, even via his trademark externalized acting and grimaces that are present among the 70 cuts he personally key animated but also within other people’s sequences. Boruto #65 is, to the surprise of no one, covered in Huang’s flair. This is what guzzu’s wonderful animation looked like before he started drawing on top of an ancient burial ground and cursed his scene with infinite ghosting. But that’s not all there is to this episode. As crucial as Huang’s herculean efforts were, the international mention in the title doesn’t simply refer to his origins. The team he assembled includes people from all over the globe, starting from his direct acquaintances and extending further to people recommended by them. They all did such an exceptional job that I feel like we’d be here all day if I took my time to gush about every single notable moment. Weiling Zhang, credited as Golge, earned the love of countless fans with his breath-taking execution of some of the most exhilarating concepts in the episode, which Tilfinning managed to follow-up with one of those grand pieces of background animation that go a long way to illustrate the sheer scale of the fight. Though we won’t be able to enjoy guzzu‘s sequence in its full glory until the DVD release gets rids of the nasty ghosting, at least Kilocrescent‘s usual sharpness couldn’t be ruined by technical shenanigans. The effortless superlative strength conveyed by Hartova Maverick, that focus on expression during hectic battle by Hero and Muggle‘s indie action charm, the relay between Hiromatsu Shuu, David Bradshaw, and the Green Monster Team duo Zhenhua Liu and Optical Core that’s all about the magnitude of the confrontation, the feeling of solidity in Spencer Wan‘s short but magnificent sequence… Even if you only focus on the contributions by non-Japanese artists, there’s no end to the exceptional cuts. Though of course, the point of the internet shattering barriers isn’t to make anime rely exclusively on overseas talent, hence why equally talented Japanese youngsters in similar positions were also recruited; Ren Onodera, who already stood out alongside Sute in Black Clover‘s brilliant third opening, was entrusted with part of a scene so demanding that even a team like this had to majorly fall back on the movie’s version of the events. This kind of online networking is key in modern projects of this ilk, but that’s not the only way in which Boruto #65 is a product of its time. Certain predominant aesthetic trends are embraced so transparently that even an older living legend like Toshiyuki Inoue was able to immediately sniff out people’s influences, even though he was only acquainted with Wan’s work beforehand. The Norio Matsumoto and especially Yutaka Nakamura inspiration he detected from animators like Gem is honestly palpable in their work, but it still brings a smile to my face to see one of the major voices in this field quickly noticing the exact influences many of these artists had listed in the exclusive To be Heroine interview we held on this site last season. Further proof that they do channel their idols effectively! After all this celebration of young talent comes the tricky part, which is to point out that as valuable as the contributions of all these up-and-coming artists were, they wouldn’t have reached this level without the support of veterans. The likes of Hirofumi Suzuki and Hirofumi Masuda are scattered within action sequences, while experienced animation directors shielded the youngsters’ experimentation and wild work from usual criticism by keeping stuff on-model as much as it was reasonable. Pierrot and Production I.G icon Tetsuya Nishio, quite the institution when it comes to the franchise as well, quietly stole the show with a final scene that doesn’t take many flourishes to sell the relaxation after a tense battle. If you feel these are minor points, keep in mind Tatsuya Yoshihara‘s lamentation that Pierrot isn’t able to provide the same for him. Yoshihara is a digital animation ringleader who’s spent years leading teams of youngsters and consistently discovering new talent (including people who contributed to this episode! ), and yet his current role as Black Clover‘s series director is driving him nuts; without the studio’s proper support and a regular influx of experienced staff, it’s impossible to create an environment where newcomers can do their best. Now that’s something that Boruto arguably doesn’t achieve on the regular either, but it’s undeniable that it paid a huge role in this episode. In many ways, this episode is reminiscent of Fate/Apocrypha #22, perhaps the greatest production achievement among 2017’s TV anime. A newcomer director not born in Japan, who’d already gained recognition as animator, put together a team with international representation to create a spectacular episode notoriously influenced by modern trends. But even more so than that case, Boruto #65 achieved what it did through the support of older and more experienced staff, resting on layers upon layers of mentorships. While the rise of new stars is to be celebrated, we shouldn’t take the title Boruto: The Next Generation too literally to the point of assuming that anime’s path to triumph is simply to discard older creators in favor of new voices. This ability to congregate different generations from people all around the planet is the real strength at the core of this episode. Those who joined the industry because of this series, working alongside the ones who first produced it, no matter their nationality. That is what we should strive for. I’m proud of Huang for achieving his dream and in special representing all the long time fans of Naruto even if they don´t follow Boruto like me. This episode was just fantastic for a while i forgot that i was watching Boruto and got back in time, and at the same time i was bring back to Boruto to watch a pass of the baton. I’m excited to see what this promising group of talented animators will bring us in the future and of course Huang more direction tasks. Sadly, Boruto doesn’t actually have any Blu-ray releases in Japan. Just DVD. Unless VIZ Media does a Blu-ray release once it’s all dubbed, it’ll never be seen in HD without the ghosting. It’s odd, as Boruto is produced slightly over 720p, so it could get a Blu-ray release, but it doesn’t. I was under the impression that they’d switched to BD for the boxes with Boruto, but it was just the movie I’d seen available on Amazon. I know disc releases aren’t the focus on long-running shows majorly aimed at younger viewers, but it’s still pretty unfortunate. Even the DVD will feel like a blessing for guzzu’s scene though! Sorry for the late response, but it looks like Boruto will be getting a BD release in France, at least. So now there’s a way to see all the broadcast ruined content in its full glory! Guzzu the sakuga ghost will finally come back to life.